The distance between my eyes was very far from each other and because of that, I was told that my impression is very strong and fierce-looking. I decided to have my double eyelid surgery at Dream plastic surgery. During the consultation I was recommended non-incision double eyelid surgery and was told that I will have a more feminine look after that! I booked my surgery right after and was looking forward to my results. I had little swelling right after surgery. My mom was very amazed about it! 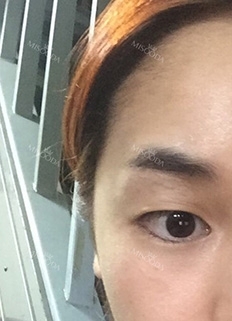 I also did ptosis correction and epicanthoplasty together with double eyelid surgery. Epicanthoplasty turned out really really natural as if it was originally already there. I am very satisfied with the results. My first impression is much softer than before and it is so much easier to wear eye makeup now. I used to wear jeans and hoodies all the time but I started to look for more feminine clothes since I started to put on more makeup on my pretty eyes. There was only one minor discomfort I would like to mention was that it stings during the stitches removal. The post-surgery recovery was pretty much of a breeze. 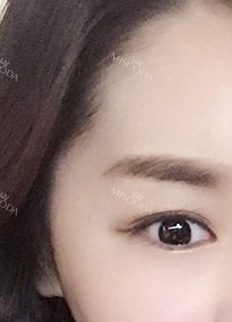 I paid about $2,600 USD for doing 3 procedures - double eyelid, ptosis correction and epicanthoplasty, probably not the cheapest but the results are amazing! Anything special you did to speed up the healing process? The image of your eyes looks so different now!